About ten years ago, I saw a sign for Dinner and a Movie – “Come tantalize your taste buds with a Four-Course raw foods dinner followed by the movie Peaceful Warrior”. It peaked my curiosity; I had to go and it changed my life in many ways. I had never tasted such clean and good tasting food in my life and I couldn’t believe how good I felt after eating this food. There was a draw at the event and, I won it the honor of getting to enjoy a “private one-on-one” with the Chef and Health Facilitator Elyss Nuff, who has been 100% raw for over 20 years; she has written a few books and travels around teaching and inspiring the raw food movement. I have always had an interest in eating healthy, way ahead of my time and this was the next logical step. There are so many diets and ways of eating out there but when one truly steps back and looks at even just the word die-t – I think that sums it up. For me eating 100% raw does not work, depending on the season and weather as I live in Vancouver, Canada where it rains a lot in the winter months. 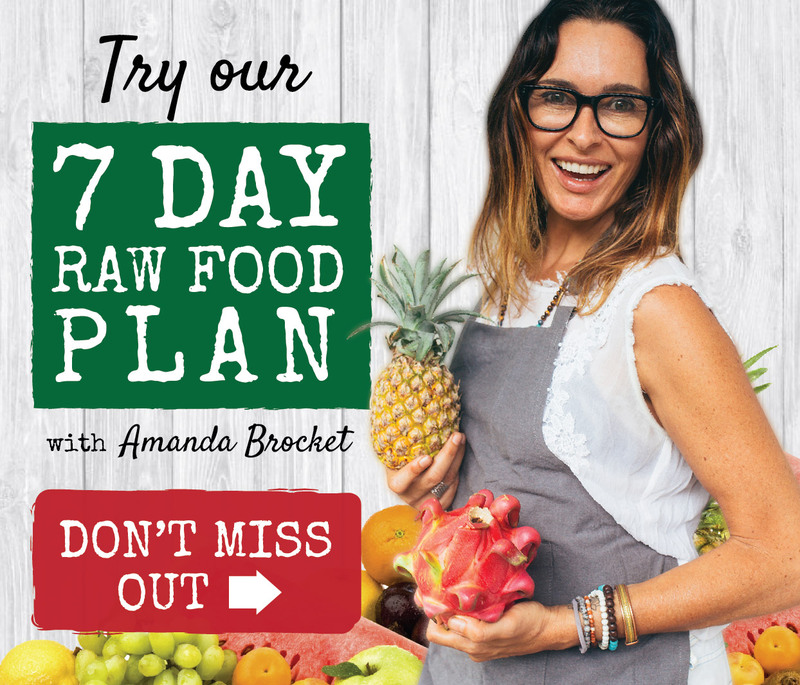 In my younger years I struggled with an eating disorder and when I went 100% raw and became a Raw Food Chef, I came into a balance that works for me and my body. At each meal I have at least 50% raw. Most meals are almost all raw especially in the summer or when I’m travelling and I’m in warm/hot weather – it’s just so natural and easy. We are living live beings so, why would we eat so many “dead foods”; “processed foods”; “chemically-laden foods”? We are living in a time now where cancer, obesity, ADD, heart disease and more are on the rise and affecting more people than ever before. If the foods people are eating are causing that, would it not make sense then to change the way one is eating and go back towards what nature provided instead of man-made? Here are a couple of things to keep in mind when buying foods – were they made in a plant (as in processed) or did they come from a plant? You may say/think that plant-based or raw foods are boring or don’t taste good? My response would be your taste buds have probably become so used to the 10,000 additives, chemicals or sugar that are put into processed foods today and you really can’t taste any more. Remember, chances are if it’s made in a plant it’s for profit and not necessarily for health. Marketing and labeling these days are very tricky. For example: MSG now has over 10 different alias. Do you read, know and understand what the ingredients are? If I have to learn Swahili to pronounce the word, or use a food dictionary to figure out what the word (ingredient is) I usually don’t buy it. If it has a shelf life longer than my dog’s life I don’t buy it! Foods that are highly processed or chemical-laden have no nutritional value – so even though you may eat and feel full, you’re still hungry many times as the body is truly not being fed. There is a huge difference between eating and feeding the body. Hence why we have the obesity and diseases today. The other key thing about incorporating more raw foods into your way of eating is they are full of enzymes. Dead, processed foods are void of enzymes; take them from the body, whereas, raw foods have their own enzymes allowing the breakdown of food to be easier, faster and don’t tax the system. You know that tired sluggish feeling after eating a big cooked meal? You won’t have that after eating a raw meal. One way to get started eating more raw foods is adding fresh fruits, veggies/salads at every meal. It’s not about what you can’t have but what you can add-in and eventually switch over to. Over time, your body just won’t want the foods that are full of chemicals and saying no won’t be hard. Heck, You won’t even think about eating them because you will be feeling so fantastic now. What we put in our bodies and minds do make a difference!! Our bodies are a place our Soul calls home……..treat it like a temple!